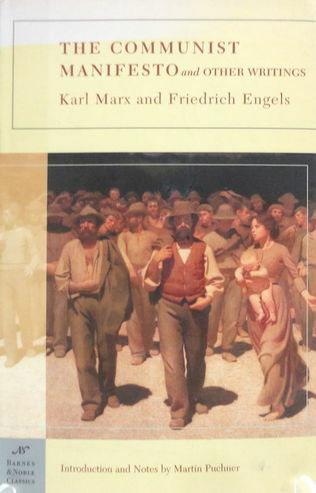 The Communist Manifesto and Other Writings, by Karl Marx and Friedrich Engels, is part of the Barnes & Noble Classicsseries, which offers quality editions at affordable prices to the student and the general reader, including new scholarship, thoughtful design, and pages of carefully crafted extras. With an introduction and notes by Harvard scholar Martin Puchner. With a new translation of Marx's Theses on Feuerbach, by Martin Puchner,.